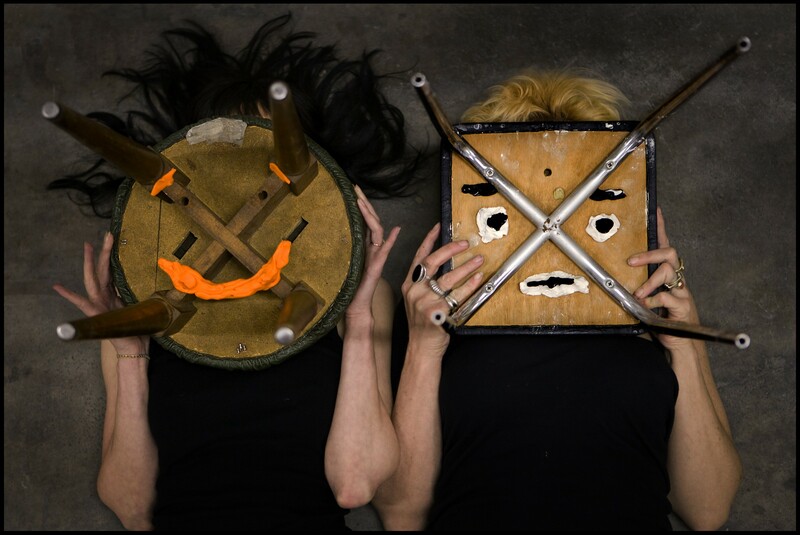 In 2004 Grace Ellen Barkey and Lot Lemm set up Lemm&Barkey to give shape to their close artistic cooperation: they work on the concept, set and costumes for Barkey’s creations, and create art installations. Grace Ellen Barkey’s stage productions are sequences of images that attempt to be autonomous. Lemm&Barkey’s visual art work is an in-between stage in the archiving of these autonomous images. An in-between stage because Barkey never wants to achieve her aim. She is not interested in solutions, but in the problem itself. The use of a craft, both porcelain and knitting and crochet, seams to form a bigger story. The materials that pass through the hands of artist Lot Lemm, are treated in an almost relentlessly hysterical manner and made into something monumental. Their visual work has been exhibited at several museums including BOZAR (Brussels), Benaki Museum (Athens), Musée des Arts décoratifs (Paris), CC Strombeek, Dr. Guislain museum (Gent), Triënnale Hasselt / Superbodies i.a. Their film ‘The Porcelain Project | Installation’ (2007) was selected for the Festival International du Film sur l’argile et le verre (FIFAV) in Montpellier. In 2013 Lemm&Barkey made 'Odd? But true! ', a wordless dance performance for all ages, opening up their work to a young audience.